The Zenith T-70 Series is purpose-built school microscopes of high optical quality and particularly robust die-cast construction. Two identical models are available with different illumination systems. Maximum magnifications of 200 x ensure ease of use and make them ideal instruments for use in Primary, Middle, and Lower Secondary Schools. 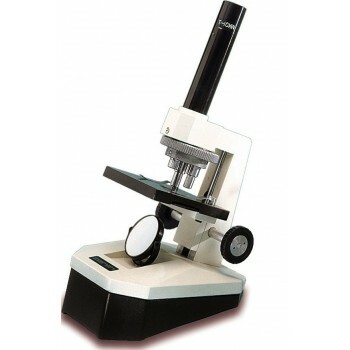 Features are ingenious base design, which when rotated, instantly converts the microscope from vertical to inclined viewing mode. Anti-tamper safety features include locked on eyepiece & objective lenses, locked on stage clips, slip clutch on the focus movement to prevent over focusing and focus stop to prevent damage to glass micro slides and objective lenses.